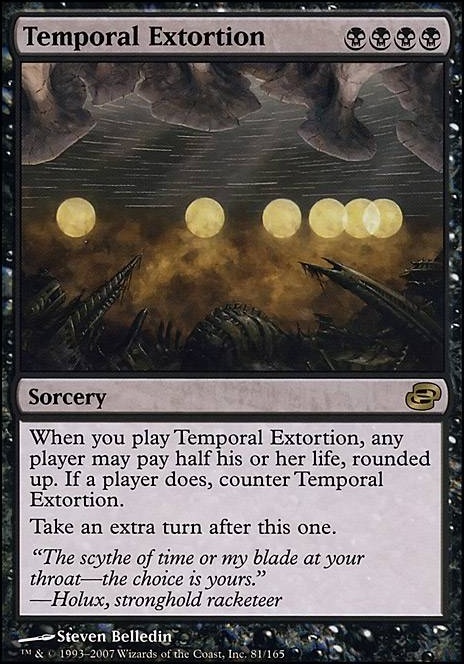 When you play Temporal Extortion, any player may pay half his or her life, rounded up. If a player does, counter Temporal Extortion. 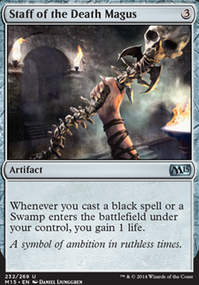 Good Call BlackDeegs, Collective Brutality is my only real discard outlet so it was hard to know how to trim. I also noticed that Temporal Extortion was essentially 4 mana to draw a card, so this gives it some more weight. I'm probably going to be adjusting how many copies of different things after I've done some more testing. The idea behind this is super cool (+1). 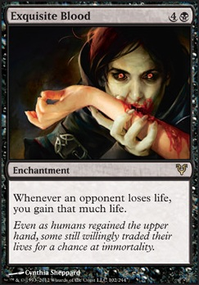 I think the deck would operate great with 4 Bloodghast as an additional threat. 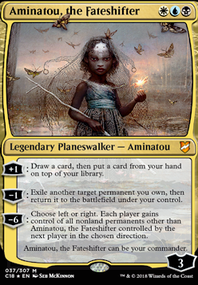 Right now I can see myself playing this deck and just ignoring Temporal Extortion because you have no creatures to attack with so its basically a draw a card and untap your lands for this deck. 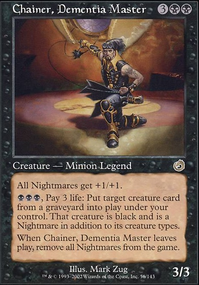 Bloodghast forces them to allow multiple attack phases with potential other cards popping into your hand to cast and he also works great for when opponents allow their health to get low which just makes him synergize even better with your other punisher cards in here. I play mono black Belzenlok (lots cards are lots of fun!) and I'd recommend things like Boompile and Nevinyrral's Disk so you can play games with enchantment and artifact players. Plus you don't have any hard wipes that let you leave Yahenni as the last man standing with his ability, which would be super strong! Watch out for Revel in Riches , people will hate on it or you real quick! Also, how has Temporal Extortion treated you? It might be tricky to cast, but Temporal Extortion can make for fun decision making making at the table.